The Nordic Swimming Federation and The Norwegian Swimming Federation would like to welcome you to Nordic Baby Swimming Conference in Lillestrøm 24. – 26. October 2014. Thon Hotel Arena will be the location of the conference. The hotel is centrally located in Lillestrøm. It is only a short walk from the train station. The train to both the Oslo city centre and the Oslo Airport only takes 12 minutes. The conference starts Friday at 5.30 p.m. (17:30). Registration is possible from 4. p.m. (16:00). The conference ends on Sunday with a luncheon at 1 p.m. (13:00). Download program and information below. Founder of Oceanic Waterbabies swim school in Perth, Western Australia. Kelly personally designed the curriculum, a specialized program for parents with babies aged 10 weeks to 5 years, which has a focus on the three-way relationship of a child to its parents and the water. With a vast background in the field of sport, health and recreation for children, her experience has been the foundation and motivation behind the Waterbabies program. Kelly has an international reputation as a creative thinker and innovator in her field and with 27 years experience, her passion and enthusiasm continues to inspire parents and children alike to play, learn and grow together in the water. Born in Akranes, Iceland on January 28th in 1960. He earned a diploma in Social Pedagogy in 1984 and graduated from the University of Iceland, the division of Sport and Physical Education in 1988. Snorri was the first baby swimming teacher in Iceland and has been very active since 1990. Currently he works as a Social Pedagogue and swimming instructor for disabled people at Skálatún in Mosfellbær. In addition he operates Snorri’s Baby Swimming School. Snorri is currently the chairman of BUSLI, The Icelandic Baby Swimming Association founded in 1994. Education: teacher, PE, masters degree og adapted physical education. Former teacher at Ålborg Svømmeklub (DK), Sønderborg Idrætshøjskole (DK), Syddansk Universitet (Odense DK) and Beitostølen Helsesortssenter (N). Still active as lecturer in my own company KIVA, focusing on early development, specializing in adapted sensory and motor activities related to children who are challenged in their development. 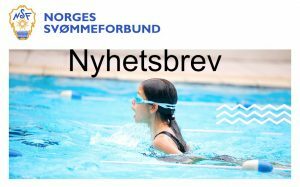 Swim school manager in Helsingborgs Simsällskap with 2600 children in their Learn to Swim Program. Lena has been involved in the Swedish Swimming Federation´s development of the learn to swim and babyswim program and has been a speaker on Baby and Learn to Swim Conferences in the Nordic Countries. She has also been a host of many International Conferences when she was working Malmö. M.A. (Early Years Education). Born in London (1954), living in Oslo. 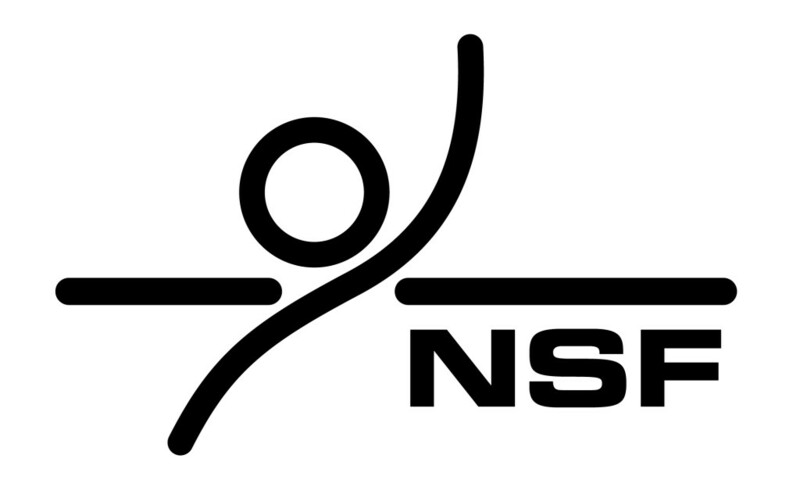 I have been involved in baby swimming since 1976 in England and since 1981 in Norway as an instructor and later, educating instructors for the Life Saving Society and the Norwegian Swimming Federation. In 1981 I pioneered methods used in Norway introducing songs, and play based activities to baby and toddler aquatics. Since 1990, I have worked to instigate changes in methods and programs toward a more child-initiated activity and with the childs own perspective as a guideline. I have been active as a volunteer with Norwegian Life Saving for over 25 years. I have worked actively for lifesaving sport, engaged at both club and national level. I have a Master degree in Early Childhood Education, from Canterbury Christ Church in Kent, UK. I work professionally for the Norwegian Lifesaving Society as an education consultant amongst other things with responsibility for developing and adjusting NLS programs in accordance to relevant research and EQF guidelines, educating and counseling instructors, promoting drowning preventative perspectives to the public through our courses and other activities. Before working as an educationalist for the Norwegian Lifesaving Society, I have been a head teacher and manager in several nurseries in Norway for over 15 years. As the 2014 recipient of the Virginia Hunt Newman Award for Baby swimming, my efforts to promote a Gentle Approach to baby swimming, have been internationally recognized. Conference and material. Accommodation for two nights in single room. Friday: coffee, dinner. Saturday: breakfast, coffee, lunch and banquet dinner. Sunday: breakfast, coffee and lunch. Same as Alternative 1, but in dobble room. Same as Alternative 1, but without accommodation and breakfast. The payment must be marked with BABY14 and name of the participant(s). NB! Latest payment is October 10th 2014. Registration is binding. The Waterbabies® program offers a positive and enjoyable approach to empowering parents to be teachers of their babies. This presentation will discuss the Waterbabies philosophy and methodology, which has been inspired and informed by personal experiences and 27 years of observing parents and their children interacting in the water. The program is designed to celebrate and support families with different cultural, experiential and developmental perspectives. To do this we need to train our teachers beyond the level of a technician and concentrate on developing their unique strengths and personal attributes. Some babies experience an unhappy relationship with water, which has motivated further investigation as to the potential causes. This presentation will explore some of Kellys insights from 27 years experience in this area including influencing factors such as submersion, the importance of reflex development and the role of the parent and teacher. Kelly will also share her observations on the birth experience and how the biggest event of a young babys life can effect early interactions in the water. This presentation will focus on the introductory seminar which Oceanic Waterbabies provides for all new parents joining the program. 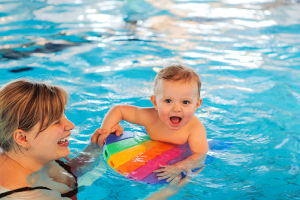 One of Oceanic Waterbabies points of difference is the high level of education, guidance and support provided to parents wishing to teach their babies to swim. This begins with our Introductory Seminar, a pre-requisite of the program prior to commencing classes and getting underway with all the fun. The 30 minute online seminar discusses the primary reasons parents choose to teach their babies to swim, including water safety, submersion, health and well-being in the water, development potential along with inspiring video footage of parents and their children in action. Access online makes the seminar convenient for viewing by parents. Kelly Rae will provide some insights into the success of Oceanic Waterbabies. Beginning with a brief history, she will outline the importance of innovation, passion, dedication and loyalty to building a successful and sustainable business. The importance of a purpose built, environmentally friendly facility will be discussed and how this has enhanced the clients and staff experience, as well as the challenges in achieving this dream. The topic Baby diving has been widely disputed over the past few years in the world of baby swimming. Some instructors are against it and others embrace it as a part of their teaching method. In my lecture I would like to present my positive view on the matter. How can we support challenged babies/small children in their vigorous development and growth by use of the characteristics of water  buoyancy and resistance  regarding knowledge of childs sensory and motor skills at early stages. Focus will be on special considerations for preterm babies and / or children with delayed development / special need, how to observe indications of retained primitive reflexes and how to work with it in water. The presentation will deliver both theory as background understanding and how it can be put into practice. In Helsingborgs Simsällskap we have 700 children in our baby and toddler program. It is important that they get new challenges in each level so they all will be able to develop in their own individual way. Which drills do we think is necessary to have in our programs. Which value are the most important for us to have in our programs. In a quick version I will tell you about Helsingborg Simsällskaps programs. Research has shown how aware babies are to stimuli and how early experiences can affect their emotional and social development. Our methods in baby swimming need to reflect that understanding. Some babies have had traumatic experiences which influence their aquatic learning in a negative way. We should give parents educational tools that will be safe to use with every child and help them to understand aquatic development in relation to their own child’s personality and development. The discussion concerning diving/non-diving infants, is diversified and we feel it is necessary and useful to have a debate on this theme. People have been whispering about this topic for the last couple of years: we want to get this out in the open and have a healthy discussion. Those practicing various diving methods can be helpful to this discussion.